Women in construction – It’s a thing. It’s fair to say however that construction has long been thought of as a typical job for the boys. From Auf Weidersehen Pet to Bob The Builder, most representations of the industry have been very male-dominated. But, as Bob Dylan noted, “the times they are a changing”. So what can a career in construction offer parents – and what can you offer it? The sector is growing. This is great news for parents looking for job security as their children grow up (and more become expensive). 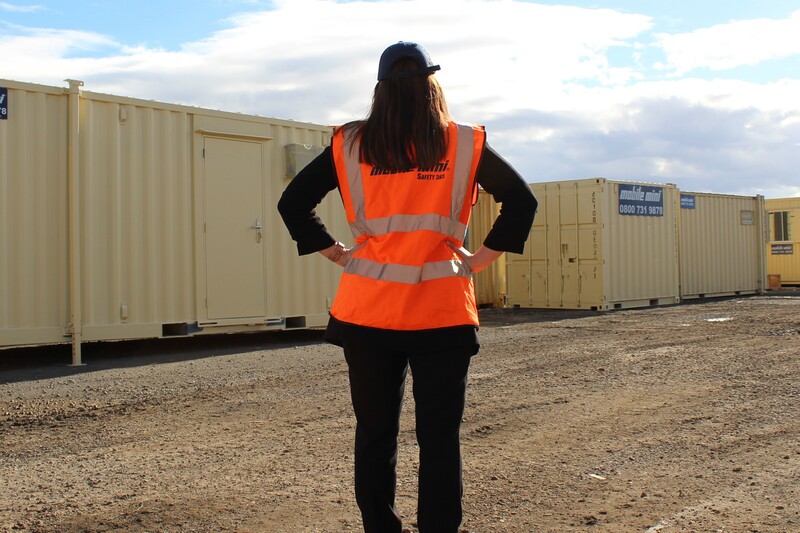 Secure site accommodation and storage container firm Mobile Mini saw record results last year, along with a number of other key players. This is a direct result of renewed confidence in the building industry. Kids love trucks, so imagine how impressed yours would be if you got to work with them all day long. Dawne McClelland is manager of Mobile Mini’s Teesside branch and has a six-year-old son. It’s a match made in heaven. She explains: “He loves anything vehicular so he likes the fact that Mummy manages two loader cranes. There’s no danger of you being the only woman on site. Latest figures show that 37 per cent of new entrants into the industry are female. At Mobile Mini, a third (33%) of staff are female across all departments – and it’s easy to see why. Both Dawne and Georgina recognise that there is a great deal of crossover in managing a team of staff and managing small people. Georgina explains: “At work, we’ve had training in the Parent-Adult-Child model, which taught us more about emotional intelligence and how we bring out different facets of our personality in our interactions with different people. “Obviously, that was something I learned at work, but I now use it at home too. We know flexibility and support during maternity leave is important to parents – and our mums in construction know it too. Dawne explains: “I had regular Keep In Touch days after I had my son. This was great to help me gradually get used to being back full-time. If you’re thinking about being one of the growing number of women in construction and looking for a career with a difference, why not visit us? Hospitality is the third largest employer in the UK, employing 2.9 million people and contributing a phenomenal £130bn to the UK economy. Surprised? Sadly, many of us associate hospitality jobs as stop-gaps with unsocial hours and no career opportunities. Think again. It’s a thriving industry, with a skills shortage, that’s crying out for good people. And, don’t just think restaurants or hotels, the industry covers everything from pubs, bars, events, fine dining, visitor attractions, schools, universities and corporate dining. There’s a huge range of roles available within the sector too; bar manager, barista, supervisor, front of house manager, chef, events manager right through to roles in business development, HR and accountancy. 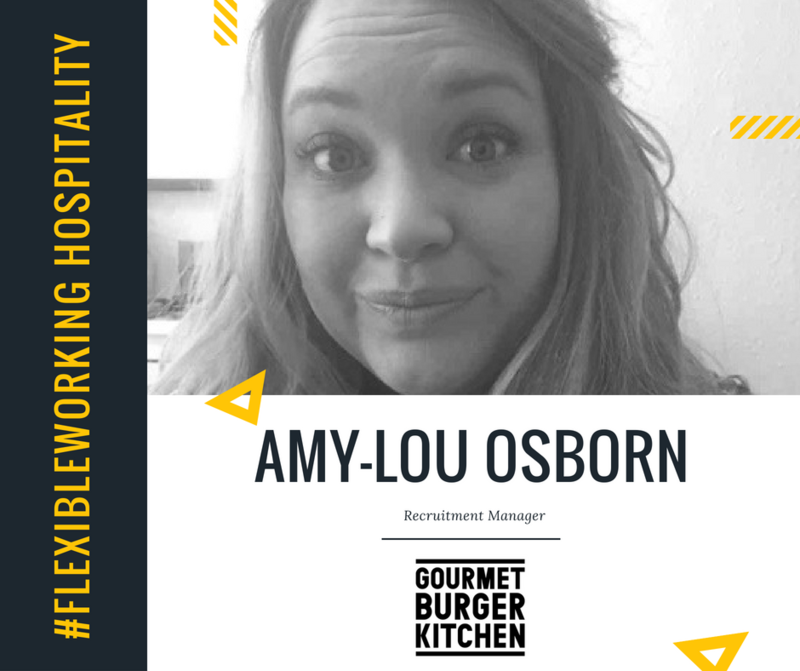 Amy-Lou Osborn, recruitment manager at Gourmet Burger Kitchen, will happily admit that she fell into hospitality, whilst studying for a Stage Management degree at Bristol Old Vic Theatre School. The flexibility of her role at HA!HA! Bar & Grill enabled her to work around her studies and take time out for filming contracts when she later graduated. Always returning to hospitality between film jobs, she later realised hospitality was where she wanted to be. 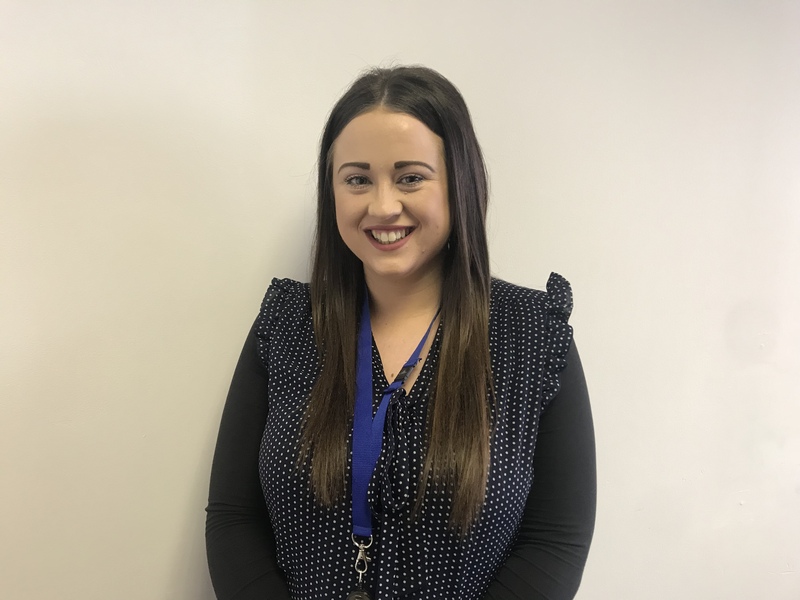 She worked her way up the ladder, working for high street restaurant brands such as Browns, Frankie and Benny’s and Bill’s, where she also headed-up recruitment for new restaurant openings. 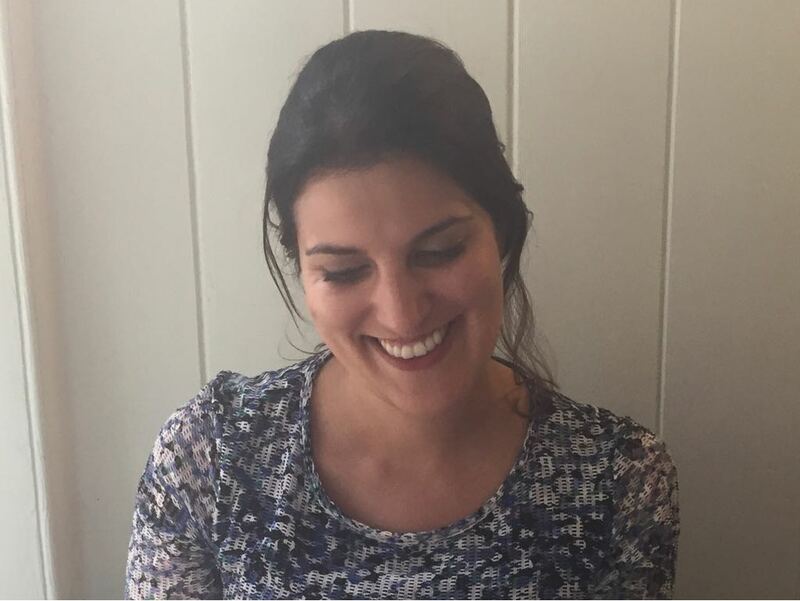 Today, at GBK, she is responsible for recruiting and onboarding up to 1000 team members across 93 restaurants in the UK and Ireland. She told us what it’s like working in the industry, what it has to offer and how you get a foot in the door. What’s it like working in the hospitality? It’s so diverse – every day is different. It might sound obvious, but it’s most definitely people-focused. I’m not just talking about the customers, but the team – I’ve actually made life-long friends through work. Everyone works together, pitches in and enjoys what they do, with a common goal of keeping the customer happy. Unfortunately, the industry is often under-represented and most people aren’t aware of the vast range of opportunities and career progression that’s available. I think a lot of people assume they know what it’s like and discount it. The reality is, is that there’s a huge amount of opportunities and experiences available. And, for the right people, hospitality can enable fast career progression. At GBK, for example, you can go from a starting salary of £7.85 an hour to £30K a year as a restaurant manager, within two years. I don’t think there’s many other industries that can offer that? In most other sectors, you’d be in an entry level job for two years, before there was any hint of development opportunities. What do you think the hospitality industry offers that other industries don’t? I think our industry is much more creative in the way we recruit. We know there’s not enough talent out there, so the traditional head-hunting approach doesn’t work – we’d just be competing for and swapping the same people. Here at GBK, we create and invest in talent. For us, it’s about finding the right people with the right attitude and core values and giving them the training and opportunities to grow with us. Is hospitality a good option for working parents? By its very nature, working in hospitality is based around flexible working, so is ideally suited to people looking to work in a flexible way. Unlike a 9-5 office job, you can switch shifts to get to sports day or the school play and evening and weekend shifts enable parents who might have a partner with a 9-5 job, the opportunity to work without incurring huge childcare costs. Ten or 15 years ago, I think hospitality would have been a big no-no for parents, but it fits with today’s lifestyles where everyone is looking for flexibility. What qualities and skills are employers looking for? It really depends on the employer. Because the industry is so diverse, there really is no one size fits all. At GBK, we employ people who hospitality comes as second nature, people who genuinely want to make someone happy. I can’t speak for the industry at large; every employer is different. But, given the current shortage of skilled workers, now is a good time to enter the industry as more and more employers are training from within with some offering apprenticeships, so you don’t necessarily need to have lots, or any previous experience. So, how do you get a foot in the door? It’s worth doing some homework, if it’s a path you’re considering. There are so many roles available across many brands and companies and not every company is right for every person. You might not enjoy working in a fine dining restaurant, but you might be a fantastic Barista in a coffee shop. Contact the big brands to see what the opportunities are but keep an eye on your doorstep too. There may be somewhere local to you that is happy to offer some on the job training. Just get stuck in and if it’s right for you, you’ll fly. I chose to join Hastings Direct eight years ago because I knew how well they supported and looked after their colleagues, including their awareness of Colleague wellbeing. I’m currently an Academy Team Leader and seeing people develop, especially when they move on to new positions, is what I love most about my role. Returning to work after being on maternity leave was extremely nerve racking especially because I had continuous employment for six years. So having a year out was completely out of the ordinary for me. I’ve been fortunate enough to have a really supportive manager, who not only kept me up to date whilst I was off and included me in team off-sites but made returning to work feel like I’d never been away. My nerves of returning to work were also put at ease by moving from full time to part time hours. Since returning to work, I still have a great work life balance. The flexibility in my part time hours was exactly what I needed to support my family but still fulfil my role. My hours give me the right amount of time to spend with my daughter and be a Mum as well as focus on my career. My shifts also give me the flexibility to set myself and my daughter up for our day ahead, but without being rushed or short for time meaning I arrive happy and ready to start my day. Do you fancy a career in admin? Or maybe you’re looking to restart your career after time out to raise your kids. Whatever your motivation, we have hundreds of admin vacancies across the country here on MummyJobs, and we’d like to help you bag one of them. 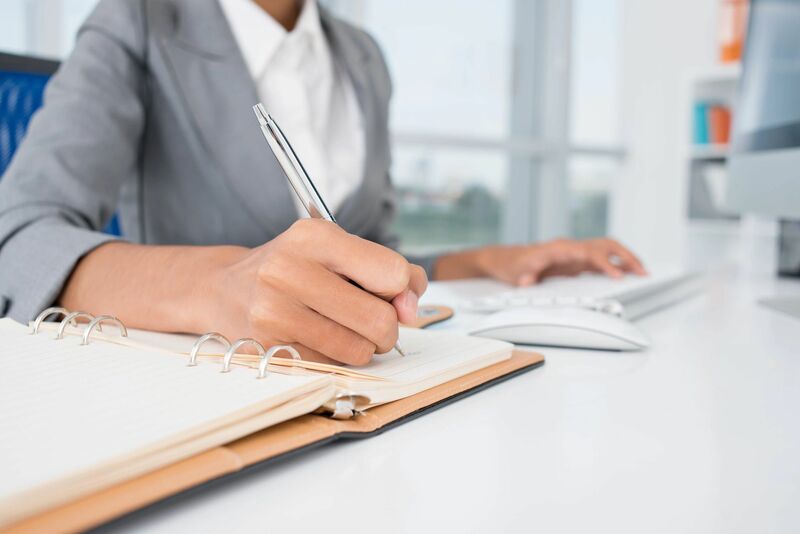 Let’s face it – as a mummy, you’ve plenty of experience organising everyone’s calendars and thinking on your feet, so make sure you think outside the box and sell these skills. Nothing goes on in your family without you knowing. You have everyone’s daily routines mapped out like a military exercise, and you’re the one they all count on to make sure everything runs smoothly. You know where everybody is at any given time, how they’re getting there and what they’ll need. Parents’ evening, doctor’s appointment, football training – no matter the occasion, you’ve got it covered. What’s more, you’re an expert at multi-tasking – organising everyone else’s lives while trying to live your own is no mean feat, and rare is the time when you’re focusing on one job and one job only. 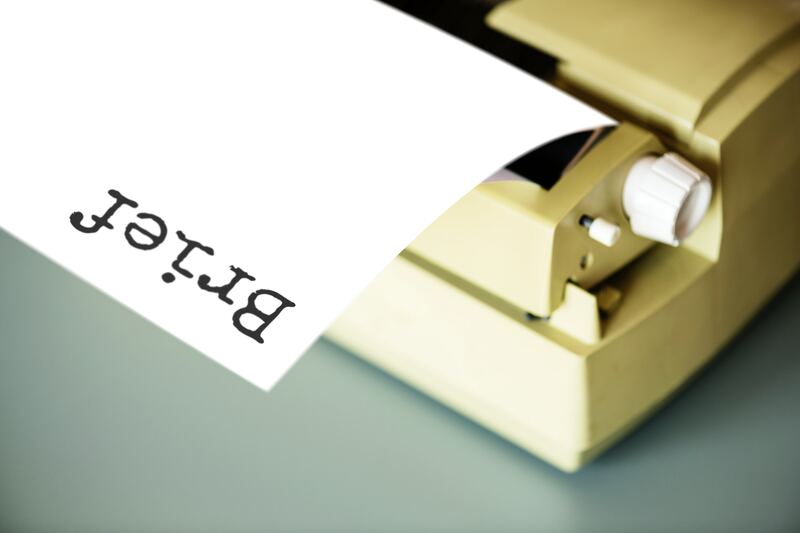 And as for paperwork – surely no office can generate more letters that need immediate attention that one household with a couple of kids? Bills, bank statement, letters from school… you’ve seen it all and have the colour-coded filing system to prove it. Any parent knows that dealing with children is all about communication – whether it’s homework, chores or persuading a reluctant toddler to put their shoes on, you are a mistress of talking people round. You’re an excellent listener too and have become adept at filtering out the relevant pieces of information from the daily deluge of general wittering any parent is familiar with. On top of this, all those mornings at toddler group and afternoons at the school gate mean you’re well equipped with the art of small talk – vital skills if you’re in a customer-facing admin role. Every second counts when you’re a mummy, and you can manage your workload like a pro. After all, there’s no better training than knowing you need to fit two lots of washing and a shower in before the baby wakes up, and there’s no procrastinating when the shopping needs to be done before the school run. And if the unexpected happens? Well, you just work round it – ask any parent who’s received a text telling them school is shut five minutes before they leave the house. You might not describe yourself as such, but you’re probably pretty technologically-savvy. After all, it’s you who’s set up the parental controls on the iPad and knows how to disable the Wifi. You can change the batteries in any given toy in under three minutes (less if you’re using a screwdriver as opposed to whichever piece of cutlery you have to hand) and you’ve become a prolific Facebook user – even if it is largely to stalk your kids. What’s more, you’re a quick learner – when your toddler wants to play with that toy five minutes ago, there’s no time to fish out the instructions, you just have to wing it. These are all amazing transferable skills that should impress any boss, so don’t sell yourself short – you may not feel you have the relevant experience, but it’s all about making the most of what you have. Make sure you check out our latest courses if you do need a refresh! And once you’ve bagged that interview, check out our tips on giving it your best. Hi, my name is Gemma and I recently returned back to work from maternity leave. My partner and I decided to take advantage of the shared maternity/ paternity scheme that Aviva offered last year. I took the first 6 months off, whilst then my husband took the following 4 months off on paternity leave to be with our daughter. It was a great opportunity as we both got the chance to spend quality time with her as we knew we would never get this time back! When I came back to work I mentioned that I wanted some flexibility with the hours I worked, as I wanted to spend at least one day every fortnight being actively present in the development of my daughter. Aviva were very supportive of this request and with the support of my team and manager we made this happen. I consider that having my husband off whilst I came back to work, took a considerable amount of worry and stress away from me, as I was able to fully focus on my job and get used to work life again. Since the announcement last November from Aviva on the increase of time for the shared maternity/ paternity policy agreement, it has made me think how else could Aviva support staff in the transition back to work, as we should be able to offer so much more than just an amended policy. I have since started a working group with the coaching and people function to try and set up a maternity/ paternity transition coaching service for staff going off and coming back to the workplace. Offering support and guidance back into the world of work. This not allows us to support our people from a policy perspective but from a human/ family perspective too. The aim of the coaching program is to help employees handle the practical and emotional aspects of a parent transition, regardless if this is your first, second or third child in a way it also enables the parent to develop in their careers post maternity or paternity. 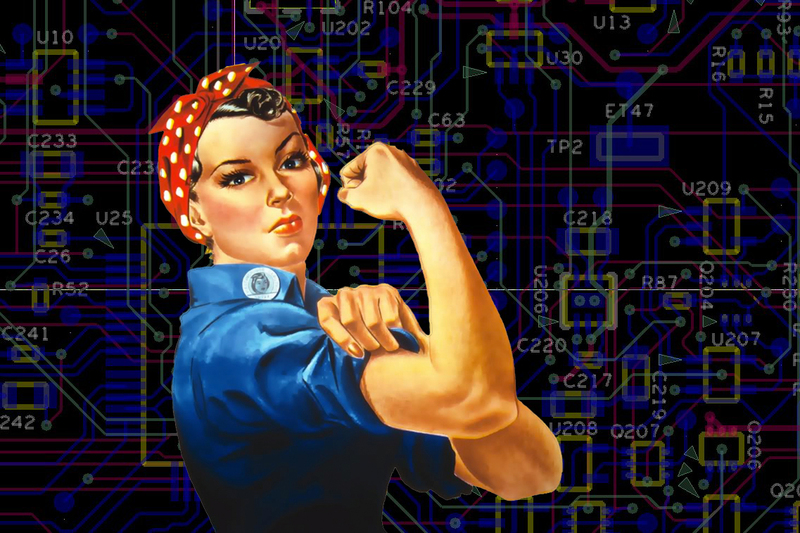 Research released in December 2017 found that the number of women working in technology has barely increased in a decade. Search Consultancy found that the percentage of female tech workers increased by a paltry 1.8 per cent since 2007 – with just 15.4 per cent of the nation’s technology workforce being women. This news is disappointing on many levels, not least because technology provides some of the very best opportunities for flexible working and working from home – the holy grail for many mums. Remote working is possible now in so many industries, from engineering to customer service, that work no longer means a nine-to-five day in the office. Additionally, many of the roles created by technology, such as web development or social media marketing, can be done remotely, at least some of the time. Here at MummyJobs, we’re passionate about tech and the positive impact it can have for mums returning to work. That’s why we’re loving the work of Digital Mums and Mums In Technology, which both provide training courses in various aspects of IT to give parents that flexibility. “But I don’t know anything about technology,” we hear you cry. But that’s the thing – jobs in tech aren’t all about computing and coding. How often do you post pictures of your toddler looking adorable on Instagram? Or share the latest teenage meltdown on Facebook for your friends to sympathise with? Then you’re already using tech – you just need to harness that knowledge. For example, a social media manager has a lot in common with how you live your life on the net – choosing what content to put out there and when to best fit your brand. Digital Mums offers courses specifically aimed at busy mums, training them for a career in social media that can be done remotely and around childcare commitments. Seven in ten mums who undertake the course find paid employment within three months of graduation, with the figure rising to nine in ten after a year. For those more interested in working “behind the scenes”, Mums In Technology teaches basic coding to equip students with the tools they need to build websites and get a taste of everything to do with software engineering. Courses are hosted by partner organisations, such as Three and the Ministry of Justice, on their sites, and, best of all, affordable childcare is available at all training venues. Once complete, the course can pave the way for further training to create a rewarding and flexible digital career. Of course, there are already women working in the field – and if you’re one of that 15.4 per cent, you’re in a great position. With recruiters actively trying to address the inequality, there has never been a better time to search for a new job or apply for that promotion. Many mums will find that the ultimate pay-off is a job that can be done at home and at a time that suits you – allowing you to fit in bedtimes and school runs, as well as dealing with any unexpected events that can throw even the most military of operations into chaos. The possibilities are endless, and we want mums to take full advantage of the tech revolution, and to be rewarded with a work-life balance that works for everyone. Visit our new Spotlight on Technology section launching Wednesday 17th January to access our latest courses and roles! We bet that many of you, when you were children, loved playing at shops. We also bet that it’s something your children do and love too. So why not take the ‘playing’ back into the real world? We’ve given it some thought and here are our top reasons why a career in retail is a great idea. As shopaholics, this is of course the biggest advantage in our eyes! With fashion retailers offering up to 75 per cent discount for uniform purchases and on average 20 per cent staff discount, if nothing else, it’s a great way to refresh your wardrobe. Although keeping your wardrobe updated is a perk, working in a supermarket, electrical store or even a furniture retailer can all help make a dent in those large family expenses, from the weekly shop to a new oven or sofa. The world of retail is varied and exciting. From large, multi-national retailers to bijou independent boutiques, there’s something for everyone – so don’t be scared! If you’re looking for opportunities that mean progression, the larger stores are for you. Want to feel part of a family? Why not look for positions within smaller chains or independent shops? The skills that you develop through working in a big store can help if you fancy a change to a smaller one, so add a bit of variety to find where you fit best. It’s not all about selling! We all know, the ultimate aim of a shop is to sell. But they do a lot more than just that! While sales roles are notorious for their targets and the particular set of personal characteristics needed, they need supporting. Positions such as cashiers, back office staff and customer service team members – plus many more – all work hard to keep the retail machine turning. While the customer may always be right, the roles that involve them might not always be right for you. Shelf stacking, delivery and warehouse management and maintenance roles are all retail based but very rarely involve interaction with customers – something to consider if you’re of a slightly shyer disposition! Retail offers everything you could need; progression, stability, friendship, responsibility and variety. Not only for those starting out at 16, this is an industry for every age and gender to really flourish. Find our latest RETAIL roles HERE.